I've owned a Birdy folding bike for slightly over a year now. It has gone through many rides and adventures and has clocked in around 2,000km of mileage. Not an amazing amount of distance by world touring standards, but not too bad for a dude with a desk job who only gets to ride on weekends and off days. I first purchased the Birdy from GW Cycle Boutique in November 2015 and it has undergone a few modifications since then. Also, here's a little bit of background info about the Birdy on Wikipedia. In summary, the Birdy is the brainchild of German designers Markus Riese and Heiko Müller, and up to now there have been three design iterations over 20 years since its inception. This translates to a Birdy that rides extremely fast on flats with great mechanical disc brakes that offer gobs of stopping power. There have been times when I had to hit the brakes behind idiot drivers making last minute decisions, and those brakes have saved me from crashing into them. I cannot praise good disc brakes enough for this reason alone. If you'd like to learn more about the Shimano Capreo system, here's a great article about it by Sheldon Brown. The Birdy in folded form. Isn't it pretty? There were a few stock components that I upgraded fairly quickly during the initial weeks of ownership. These were the handlebar grips, the saddle and the pedals. The stock grips and pedals felt a bit on the cheap side given that this is supposed to be a high end bike, but I suppose the manufacturer expected people to swap these out from the beginning. The original saddle was also rather generic and wouldn't give too much comfort on longer rides. so I swapped out the handlebar grips with Ergon GP3 grips and I swapped out the generic Velo saddle with a Brooks B17 Special. I'll share my thoughts on those in another post. The Shimano Capreo gearing was decent enough and provided mostly hassle-free gear changes that contributed to a pleasant ride with little to no surprises. What made the Capreo special is the tiny 9-tooth cog that lets you go head-to-head with a roadie. This gearing enables the Birdy to accelerate very quickly and can sustain speeds of up to 35km/h on fast rides. I actually tried tailing a few road bikes on a ride and didn't do too badly! Most were wondering how a bike with small wheels could go so fast. The one advantage that small wheels give is extremely quick acceleration, especially on climbs. I've gotten a few comments from other cyclists when I charge up a hill or bridge and leave them wondering if I've got a built-in electronic motor. 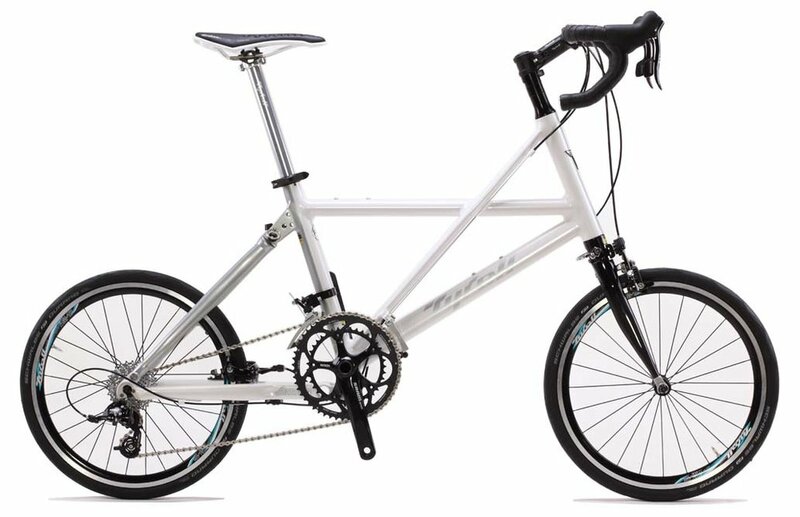 When I was first shopping around for a folding bike, I tried a few brands and models to see which one would individually suit me. The Birdy definitely isn't the cheapest option, but it's definitely worth the money I paid and rides very well for me. The Birdy frame itself is an engineering marvel – a single-piece high-grade aluminum monocoque frame that is extremely solid and light. The Birdy special edition hanging out with a flock of birds in Penang. Compared to the higher end Dahons and Terns (The Eclipse X22 comes to mind), the Birdy has a much more compact fold. The way the Birdy folds is ingenious as the most sensitive parts of the bike (the rear derailleur especially) are protected inside the fold. Once folded, it stays folded and does not require an external latch. There are also no hinges that split the frame, so there are no worries of flex or torsion. The fold itself is clever where the front fork and rear triangle swing into place and form a natural suspended cushion. The front and rear elastomers function well with solid downforce suspension, and also fairly cheap to replace. Elastomers come in different densities, and mine is the red one which is medium. There is also the green elastomer for a more firm ride, and the yellow elastomer for a more comfier ride. There are also plenty of high quality after-market suspension products available for the Birdy, and I'll cover some of those choices in a separate post. When it comes to folding, there are plenty of Youtube videos out there that show how to fold the Birdy folding bike. After owning the Birdy for awhile now, I'm able to do the fold in less than 30 seconds. 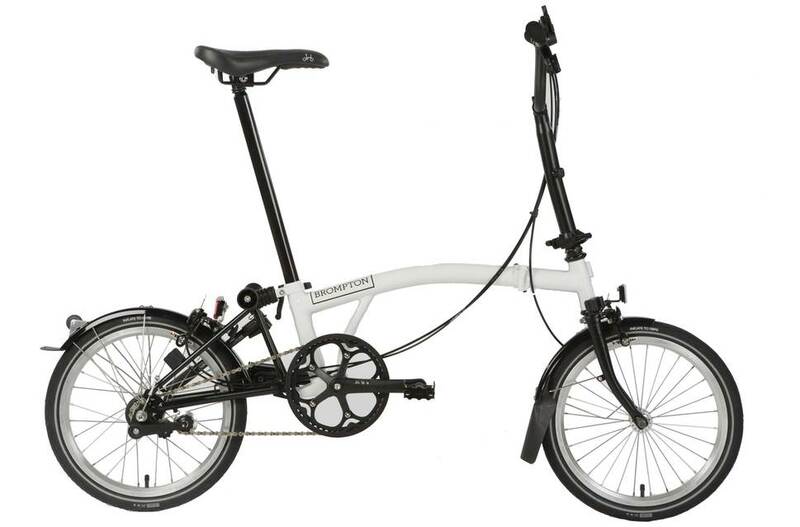 When it comes to having the most compact fold, the the Brompton is the clear winner here. It makes an excellent commuting bike if you need to take it on the train regularly. The Brompton certainly has wonderful qualities of its own that appeals to many, but the reason that I went with the Birdy is for the larger 18" wheels and fully suspended ride which translates to more comfort for longer distances and a bit more off-road prowess. The combination of the larger wheels and full suspension is what gives the Birdy the feel of a full-sized bike. If you still need larger wheels, the Birdy can also be upgraded to 20" wheels should the need arise. About three months ago, I made the switch to 20" wheels before my Japan touring trip and I'll provide my experience on that in another post. I also tried bikes from both Tyrell and Montague for comparison, and they speak to a slightly different audience. The Tyrell makes a fantastic road bike that is extremely light and is more suited for racing. The Montague bikes are full-sized bikes that fold, and are a bit heavier. If I were to get something for full off-road use that can fold, the Montague Paratrooper Pro would be a great choice. When I first started riding the Birdy, my average distances were around 20-30km of mostly recreational urban rides around Kuala Lumpur and Putrajaya. It was nice to have a bike that folds neatly and fits into the back of a car, and that pretty much meant that I was able to explore anywhere I wanted to with a bike. I also did a few solo rides around Penang when I had a few days off towards the end of 2015 and enjoyed every minute of it. In two more months, I did my first 60km ride which was a loop between Bagan Lalang and Tanjong Sepat. This was my first taste of cycle touring that was yet to come. Baking under the tropical sun while riding to Tanjong Sepat from Bagan Lalang. At around the 500km mark, maintenance has been very easy with the occasional adjustments to the disc brakes and the rear derailleur. Nothing too hard. And just remember to keep the chain clean and gunk free to ensure gear shifts stay smooth. The Birdy comes standard with a 53t chain ring, and I quickly learned that climbing up steep grades with it was an instant recipe for pain and exhaustion. I'm talking about a constant slope with grades that go anywhere between 8 to 15 percent that keeps going for more than 15km, and not just one or two slopes. I did the climb up the Genting Sempah route, and will forever remember the curses that my wife threw at me during that ride. She was also riding a Birdy with just the single chain ring. Ouch. The 53t chain ring is fantastic for flying through flats, but not so much for long hilly terrain unless you're a complete masochist. Granted, most commuters wouldn't be living in such hilly areas, unless you were somewhere in the middle of Notojima island or along hilly coastlines or mountains. In which case, you will definitely need better gearing options. I chose to upgrade my entire drivetrain and I'll share those details in a later post. The Birdy makes a great long distance tourer given the right components, with the added ability to fold when needed for storage or if you need to bring it on board a train. In the 2,000km of distance that it has gone through, there have been only a small handful of times where the chain came off during the folding process (I simply forgot to set it to the smallest cog before folding) and those situations were fairly easy to fix on the fly. The suspended ride certainly helps smooth out road imperfections and also handles fairly well when off the beaten path such as packed dirt roads and a bit of gravel. The frame is also extremely durable and the bike has survived a few paint scuffs and minor dents with a few falls here and there. I was also hit by a car while riding the Birdy in a small tourist town in Japan, and it survived that episode too. But that's a story for another time. Striking a pose in Kyoto with an all around upgraded Birdy. Note the 20" wheels (ISO size 406 to be exact) and dropbars. Well-engineered monocoque frame design stays locked when folded – no messy hinges or clamps or funny magnet things to worry about. Almost every single component utilizes standard bike parts, making maintenance and replacements easy. Stock 18" wheels strike a good balance between portability and on-the-road comfort and there is room to upgrade to 20" wheels. I recommend sticking to 18" if you plan riding mostly around urban areas and want the compact folded dimensions. If you decide you want to do longer distances and touring, the 20" upgrade makes sense. Lightweight and stiff frame with no flex. Highly customizable dual suspension system helps to dampen rough road surfaces and can also be swapped with a number of high quality after-market products. Fantastic disc brakes – the TRP Spyres that came with the Birdy are simply amazing mechanical disc brakes that have proven themselves with massive stopping power in emergency situations. Can also be easily swapped with other disc brake systems, even hydraulic ones from Magura. Can be quickly adapted for touring with front and rear attachment points for racks. The stock configuration is not ideal for hilly terrain and steep climbs with just the single 53t chain ring. A smaller chain ring would work better for this specific scenario, but most people would be riding on flats to start with, so it is understandable why it was initially configured with a 53t chain ring. The stock 9-speed Capreo performed well, but there are now bikes with 10-speed and 11-speed drive trains that are becoming standard on high end bikes. Stock pedals were rather cheap. They could have at least provided slightly better platform pedals. Just doing a quick google search returns a bunch of better options. For the graphite paint job, I wished that it could have been a bit more durable. Small rocks and pebbles that fly up from the road during rides can easily scuff the paint, but that's reality. Just take every scratch as a badge of adventure that you've actually gone somewhere! If I had to give the Birdy a star rating, it would be a full five stars. Although I listed a few cons in the above list, but the pros more than make up for it, especially regarding upgradeability. The Birdy is an ace all-rounder. It is able to do many things while still being able to fold compactly and quickly. From quick urban rides to longer tours and everything in between, the Birdy is capable of being your one and only bike that can really do it all. The German designers behind the Birdy, Markus Riese and Heiko Müller, have done a fantastic job designing a folding bike that does not compromise on ride quality and performance. Simply put, the Birdy is a great all-purpose folding bike that is able to grow with you, especially with all the fun you can have with upgrades! Get updates on more folding tales!